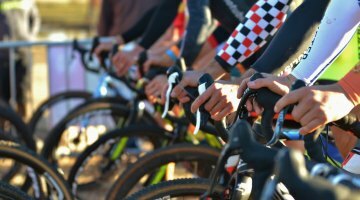 Update: Full 2018 HPCX Day 1 UCI C2 cyclocross race report and results are here. On Saturday, Mother Nature served up a wet, sloppy UCI C2 cyclocross race in New Jersey. While many of the country’s top racers were battling for the UCI C1 points in Cincy, others took advantage of the UCI C2 racing at HPCX. Cassie Maximenko (Van Dessel) continued her team’s win streak after Sunny Gilbert’s two victories at DCCX, while Justin Lindine (Hyperthreads/Apex Pro Cycling) took his first UCI victory of the season.